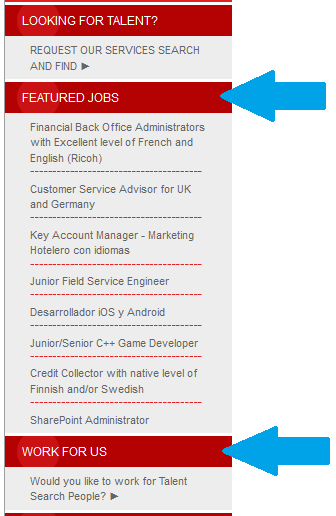 Just a few days ago, Talent Search People has added to their website a “FEATURED JOBS” section. In this column, our recruitment consultants will insert key vacancies and those that need to be filled the most urgently. Feel free to have a look and send us your CV as soon as possible so we can include you in our customers’ hiring processes! We also want to remind you that if you are interested in working in HR, you can send us your application to join the Talent Search People team.